Pope Francis is in Ireland for a 2-day visit. Although most of his Catholic flock in Ireland is anxious to see him, many want to know what he thinks about the multiple abuse allegations that have surfaced in Ireland over the past few years. The Irish have had to learn about child sexual abuse, the Magdalene Laundries, mother and baby homes and illegal adoptions, to name but a few. 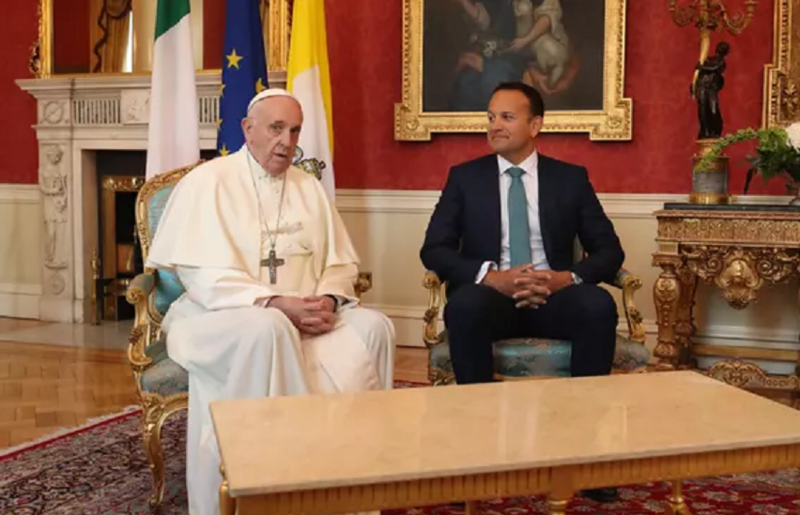 It was mostly for this reason that Irish Prime Minister Leo Varadkar gave a speech focusing on the Catholic Church’s failings and how there needs to be a ‘new relationship’ between Ireland (still one of the most religious countries in the EU) and the church, as Pope Francis stood beside him. During the first papal visit to Ireland in almost 40 years, Pope Francis confronted the issue head-on in his address inside the castle's St Patrick's Hall, stating: "With regard to the most vulnerable, I cannot fail to acknowledge the grave scandal caused in Ireland by the abuse of young people by members of the church charged with responsibility for their protection and education." How can people still belong to an organization run by a bunch of morally corrupt child rapists? If I was catholic I would have all the leaders in my church get up in front of the congregation and make the comment they have never covered up a crime to a minor by a trusted church leader. If they cannot make that comment they need to resign from church life. The coverups are what allowed this to flourish in the catholic cult. Matthew 15:2 Why do thy disciples transgress the tradition of the elders? for they wash not their hands when they eat bread.3 But he answered and said unto them, Why do ye also transgress the commandment of God by your tradition?